Whenever I get an invitation for any function, the first trouble that I face is, "What gift should I give?" I am very bad at selection, and I used to chose something random. Most of the time, the recipients told me that the gift was good, and I am 99% sure, they told that out of courtesy. Some time back, when I was moving out of the team that I was working, I came to know that, the team members were thinking of some gift for me. I was 100% sure that, whatever they give, I would put it in my suitcase safely atleast for the next 5 years. But, I was 100% wrong. They had given me gift vouchers of Crossword Book stores. Very soon, I visited the store, and spent equivalent money of the gift vouchers by purchasing the books equivalent to the double the value of the gift vouchers. After they gave me the gift vouchers, one of the team members said, if I am going to buy a book of Rs.350, then, I can give two Rs.250 gift vouchers, and the shopkeeper gives back a credit note of Rs.150, and I can use that credit note to buy another book in 6 months time. When, he was telling that, I did not say anything to him. But, I was 100% sure that, I will never need to take a credit note, and I did not take. This was the second gift that I had received that was useful for me. Gift Voucher is a very good gift that can be given to anyone who is staying in a city. Recently Canara Bank introduced Gift Cards which can be used like a credit card. That is also a very good option to give it as a gift. A nun in Warsaw, Poland, filed a case against ISKCON (International Society for Krishna Consciousness). The case came up in court. The ISKCON defendant to the Judge: "Please ask the nun to repeat the oath she took when she was ordained as a nun." The ISKCON man asked whether he could read out the oath for the nun. The oath said in effect that "she (the nun) is married to Jesus Christ". The ISKCON man said, "Your Lordship! Lord Krishna is alleged to have 'married' 16,000 women only. There are more than a million nuns who assert that they are married to Jesus Christ. Between the two, Krishna and Jesus Christ, who has a loose character?" One common misconception everyone have is, Krishna married to 16,000 Gopikas. Actually, Krishna did not marry Gopikas. He married 16,100 queens of different kingdoms who were captured by Narakasura. After Krishna killed Narakasura, the queens said, since, they were captured by Narakasura, and no one would marry them now, they asked Krishna to marry them. And, Krishna married all of them. Another misconception that people have is, Satyabhama killed Narakasura. It is not correct. Satyabhama helped Krishna, and she even fought with Narakasura for some time. But, at the end Krishna himself killed Narakasura. I have met many doctors, and I have told them all my problems. All the doctors gave the medicines that solves the problem for the time being. But, none of them gave any health tips by which the disease will not come back in future. A doctor giving just an advice without medicine as the treatment is too much to expect. The doctors should give treatment in such a way that, the patient does not need to come back. But, I hardly met a doctor who does treatment like that. When I ask for the root problem, almost everyone tells in very abstract terms, which are not at all useful. I feel many doctors are not doing what they are supposed to do. Drinking 2 liters of water everyday morning with empty stomach before brushing cleans the stomach, and many problems related to intestine would be solved by that. If the sugar level goes down, then one may get frequent headache and feel stressed even by small work. One must maintain sugar levels for good health. Except those who have high sugar levels, everyone should take enough sugar or related products regularly to maintain the sugar level. Sometimes, in blogger, when you post in edit HTML mode, the alignment fails partially/fully. The partial/full text is shown in a single paragraph. That is due to some bug in blogger, where it stops converting the new lines to <br>. In that case, wherever you want new lines, use <br> tags yourself and don't depend on blogger for converting automatically. I know a company which takes regular anonymous feedback. They have enough checks to make sure that, the feedback is really anonymous. The feedback is conducted by a third party, and it contains many objective questions. The third party aggregates all the responses at the senior manager level for each question and gives it back to that company. All the senior managers and above would know the aggregated feedback, and they are obliged to publish the aggregated feedback to his/her team. In that company, some time back, under one senior manager, for the question, Intent to stay in the company, nobody said, they would stay in the company. Where is the anonymity in that? If there was atleast one person who intended to stay in the company, the anonymity would have been there for everyone. But, now, it is clear that the entire team under that senior manager wants to leave the company soon, it would be too embarrassing for everyone in that team. By the way, soon after publishing the results, the senior manager left that company. Without any second thought, I would choose the second option. Intel CEO: "We need antivirus, can someone buy me McAfee?" I read this joke few days back, and I could not understand it. Today, I understood it after reading the news that, Intel bought McAfee. We can setup email alerts by SMS from way2sms. If we setup email alerts on way2sms, and if anyone sends mail to <OurId>@way2sms.com, then they would send SMS to us with the sender and subject of the mail. This is a really good feature from way2sms. But, the problem is, the mail alerts expire exactly after 14 days from the date of activation. Before expiring the alerts, they don't give option to renew. After expiring, you will not get mail alerts till you activate the alerts again. This is one big drawback in this. With Way2sms, we can send an SMS in future (in the next 10 days). What I used to do was, I used to setup a future SMS alert as a remainder to renew my alerts. After 10 days, when I get the SMS alert, I used to setup another future SMS alert for 4 more days as a remainder. Even then, there was a loss of alerts for few hours. Now, I realized that, there is much simpler way. After 10 days, I can deactivate the mail alerts, and activate it again. With that, it will expire 14 days after the re-activation, and I can have another SMS alert in 10 days. With that, I don't lose even a single mail alert. Update: With ibibo.com also, we can setup mail alerts, and there is no need to renew mail alerts. But, it sends few promotional SMSes once in a while. IISc Life is a very good blog written by my classmate Rupesh Nasre. I like the stories of bhOndOO very much. If you have some interest in reading love stories or humour stories, then I would strongly advise you to read the bhOndOO stories. After reading the story, Does she love me?, I thought, I should not delay any time in reading the stories of bhOndOO. As soon as the article is published, I should read the story. I use google reader for reading anything. But, the frequency is not high enough and SLA for reading this blog will not be met with this. I asked for enabling the posts via mail, and he enabled it. Even that did not meet my SLA. I created way2sms mail account, and I enabled forwarding of the blog mails to my way2sms email account and enabled mail alerts. So, whenever there is any post, I get mail on my gmail account, which forwards to my way2sms account, which sends an SMS alert to my mobile. I have GPRS on my mobile, and can browse from my mobile. So, except when I am in sleep, I can read the posts within half an hour after posting it in iisc.wordpress.com. With that, I have met my SLA, and my way2sms mail account is exclusively used for sending this alerts only. I developed a small tool to transliterate from English to Telugu, Devanagari, Kannada, Malayalam, Oriya and Bengali. This tool was developed 3 years back, when the local languages were not that much popular in google sites. Now, nobody needs this, since all the google sites support local languages. I did not want to throw away this. So, I put it on the site. You can access the transliteration from http://www.tnsatish.com/translate.jsp. If you write the text in english, it converts and shows it in the language that you chose. If you see the view source, you will also get the html (with the unicode) for that, and you can use that html in your sites. Except Telugu and Devanagari, I have not tested other languages. If you find any issues please let me know. 35 years back, on the same day, Emergency was declared on June 25th 1975 at night. That was the first time, when the president has taken an important decision on the advice of the Prime Minister alone (without the cabinet). The Home Minister Kaasu Brahmananda Reddy came to know about it only after Indira Gandhi intimated to the president. All other Cabinet Ministers came to know only the next day at 6 AM during the cabinet meeting. After Potti Sriramulu started his fasting on 1952 October 19th, Nehru announced in Rajya Sabha that, if all parties agree, they are ready to form Andhra State without Madras. But, Potti Sriramulu wanted Andhra State with Madras. He did not agree to the proposal by Nehru, and continued his fast-unto-death. After the death of Potti Sriramulu, Andhra state was formed without Madras. I have already mentioned my comments on the similar one in the interview between Vundavalli Arun Kumar and Jaya Sankar. A Sanskrit teacher is teaching Sanskrit, and for all the students, it was their first class in Sanskrit. Later on, the teacher realized that the student's name is Kim. Told by my Sanskrit teacher Sri Vasuvaj. Chetan Bhagath has explained the way of solving problems by politicians in a very simple way in his book, The 3 mistakes of My Life. It is like two customers go to a restaurant and the manager gives them only one plate of food. And if you want to eat, you must fight the other guy. The two guys get busy fighting, and some people tell them to make amends and eat half plate each. In all this, they forget the real issue - why didn't the manager provide two plates of food? Our politicians do not provide enough, and within the limited resources, they will bring hundreds of acts and policies and they make people to fight each other in those hundreds of acts, and people forget the real issue that, if enough resources are provided, it would solve the real problem. If we take higher education, government has complete control on it, and it does not allow everyone to provide services in education. There are many students who would like to study, but, there are not enough colleges for all of them. So, to solve that problem, government introduces many things and there will be many acts like the following. People and political parties spend a lot of time in debating all the above and everyone forgets the root problem. If they just allow enough no.of colleges with open competition, it would solve the original problem, and the government never need to solve any other pseudo problem. But, that make politicians go out of job, so they don't do it. Tata Indicom has started unlimited plan within their network. If anyone recharges with Rs.299, they get unlimited talk time for one month. With that unlimited talk time, they can talk for 30 minutes everyday within their network. After 30 minutes, they charge nominal price of 50 paise per minute. On sundays, they can talk for 60 minutes. If we calculate the charge in the plan, it turns out to be approximately 30 paise per minute. It is same as any other plan by any service provider. There are many service providers who just subscribe to the value added services without taking confirmation from the customer, and enable it and charge the customer every month. If the customer calls customer care and asks them why they enabled that service, they would say that, customer received the call, accepted it, and it was enabled. There are many instances where the customer never receives the call, but, the customer care says, they received the call and accepted the offer. The unsubscription from the service is so complicated that, a normal uneducated person cannot do himself/herself. Many times, they are not even aware that, they were charged. These mobile companies are thinking that, since the consumer is ignorant, and nobody is going to file any case against them, they can just say whatever they want. Even if anyone files case against them, still, because of slow speed at courts, and not so severe fines, the company can easily escape. If you are using multiple messengers to connect to a single account, then you might be facing problem with the status (Available, Away, Busy etc.). It may not set the correct the status automatically, because of the differences in different messengers. In that case, except for the primary messenger, if all the other messengers logs in invisible mode, then the status would be displayed properly. Make sure that, you are using the latest versions for all the messengers and it's plugins. Sometimes, the bugs in the old versions may cause issues in the status. Thanks to Tanneru Kameswara Rao for helping me in this. Many people suggest to do the following to solve the corruption problem. While solving any problem, we have to find the root cause of the problem, and what we are trying to achieve by solving that. We should come up with the systematic changes to solve it, and not just few incremental changes. The main problem that people face (related to corruption) is, People had to bribe to get any service done. The ideal solution is, people should get all the services without any bribe. We should change the system in such a way that, we don't need to use Police or Anti-Corruption Bureau (ACB) to reduce the corruption. Let's take an example of Telecommunications. Till 1999, to get any telephone connection, one had to bribe the employees of BSNL, and even after that, they used to get the connection after a month or two. At that time, the long distance STD charges were Rs.16 per minute. After the telecommunication reforms, private operators were allowed to serve. By 2003, everyone could get a phone of private operators just in 10 minutes without any bribe, and STD charge was dropped to Rs.3.50. This change was not a small improvement. It was a drastic improvement. This change has come only because of open competition in telecommunications. The private operators want profit. They can get profit, only if they provide better service to the consumer. So, all the private operators started providing better and better services, and at the end, the consumer is benefited significantly. Eventhough BSNL is a multi billion dollar company and has been there for a very long time, still the players like Airtel, Reliance and Vodafone have got more share in cell phones than BSNL. Now, how many people are bothered about corruption in BSNL? In this reform, government has not done anything like introducing extra employees in ACB, or replacing the employees of BSNL with sincere employees etc. Government just brought open competition, and everything automatically got changed. Corruption Control and Development go together. We cannot do only one and not other. If we develop, it will automatically control the corruption. Reducing the corruption without development is not possible. Eventhough not directly related to corruption, we have the following problems. The house rentals in certain locations are very high just because they are near to big companies. Traffic is a very big problem. It takes a lot of time to travel. Global warming is increasing, and we have to reduce it as much as possible. Transport cost is very high. All the above problems can be solved very easily by allowing private operators in bus services. If a family can travel comfortably at any time, from any place to any other place by using public transport, then many people would prefer to use public transport rather than their own transport. Everyday, many people are getting injured in bike accidents, and many people do not like to drive for one to two hours in traffic. But, they had to do that, because, the transport is very bad. In any city, at peak time, one cannot even think of getting into the city bus, no need of speaking about sitting in the bus. There are many people who are ready to pay more than city bus price for a comfortable travel. But, the government is not providing more buses, and not allowing private operators to provide the same. If there is open competition, then the no.of buses will increase, and people will get better service, and many people will start using public transport. By that, no.of vehicles on the road will decrease, and by that, problems of global warming and traffic will also reduce. If the transport is good, and if one can reach the destination in less time, then the employees do not need to stay very near to the office, and rentals will be stabilized. Whatever revolution we had in telecommunications, we should bring in Transport, Education, Power Supply and in every other field to develop and at the same time to control the corruption. Many people think that, what can a common man do? Vote is a big weapon that every indian has. By voting for a party which can improve the society, they can definitely bring the change. But, many people are thinking that, how does my vote can change? The fact is, everybody is thinking like that. If everyone just votes for a political party, which can change the system, and asks their friends/relatives to vote for that party, then the entire state will develop, and there will not be any place for corruption. Other than voting for the right party, a common man does not need to do anything more to reduce the corruption, and anything less will not be sufficient. If we are getting help from someone, it is minimum courtesy to return atleast what they have spent for us, be it money or time. For big personalities, it may be difficult to return either in the form of money or time. Because, the big personality may be earning a lot per hour, and may be able to do a lot in one hour of his/her time when compared to others. If that person had spent one hour time for us, returning in any form would be very expensive. At that time, atleast if we do their monotonous/inferior tasks, and free up their time, it would be equivalent to repaying what they had spent. If they directly ask in helping their monotonous tasks, and if anyone rejects it because of the inferiority of the task, (without repaying their help by any other means), it means, they don't have any courtesy. A is getting a favour from B. A assumed few things to help B, where as B is not satisfying those assumptions. B knows the assumptions by A, and also knows that they are not satisfied. If B discloses that, they are not satisfied, then A may not help B. Otherwise, when A comes to know himself/herself, at that time, A may create problem. If B is fine with the problems in the future (or thinks that, they would be solved somehow), then most probably, B would not disclose it. If A would like to have more information or honest relationships, it would be better if he/she encourages others to disclose those invalid assumptions with the promise that, he/she would continue doing that favour atleast till he/she gets the information from somebody else. This kind of situations happen regularly in case of big events. At that time, it is better to maintain the honest relationship rather than hiding few facts. An atheist prays the god. "Hey God, I want the power to know where exactly a person is right now. I need this power to follow the girl whom I love whenever she goes for lunch, snacks, or home. If you grant me this power, then I will believe that you exist and I will start worshipping you. Otherwise, I will continue to believe that, you do not exist." After a few days, his friend comes to know about his interest in following that girl, and gives the following advice. Install Pidgin and SIPE plugin (replacement for Office Communicator). Add buddy pounces for her, and put alert for any change in her status. With that, you will get an alert whenever she locks her system or signs out etc. If you know her general routine and have her accompanying friends also in the messenger, then it is very easy to predict where is she going, and you can follow her. The atheist does the same and starts following her regularly. Finally, he says the God, "Hey God, you do not exist. You have not given me any power to find where exactly a person is right now. My friend has given me a technical advice to find out where is she. But, you have not given me anything. So, I don't believe that you exist." India is a poor country. India is a developing nation. This is what everyone says about India. But, in one field, other countries say, "Rich countries like India...". That field is none other than Cricket. If Vishwanathan Anand wins World Championship, or Abhinav Bindra wins Olympic gold model, everyone celebrates. After few days, everyone forgets them and their sports. If India loses badly in any main Cricket tournament, everyone criticizes our cricket team, throws stones at the houses of Dhoni, Dravid etc. After few days, everyone forgets the defeats and again starts following cricket. How many people care that, Vishwanathan Anand won Championships of all the main types of Chess, which even Gary Kasparov could not win? Before Vishwanathan Anand, there was only one International Master. Now, we have 64 International Masters, and 21 Grand Masters. How many people know that, Ramanathan Krishnan reached Wimbledon Semi Finals in 1960 and 1961 with 7th seed both times? He also received 5th seed in 1962. His son Ramesh Krishnan reached Quarter finals of Grandslam tournaments three times. Vijay Amrithraj reached Quarter Finals of Grandslam tournaments four times. But, people remember only Sania Mirza who successfully reached fourth round of one Grandslam. We should not criticize Cricket or BCCI or anyone else who encourages Cricket for not allowing other sports to grow. Cricket is given very high importance, because, there are many followers to that. If everyone stops watching cricket, then the importance will automatically go down. It is just that, in India, there are more no.of followers of Cricket. So, there is more money, more importance etc. Everyone has their favorite sport, and why should somebody try to influence to change their favorite sport? If people do not change their favorite sport, then Cricket will lead for quite some time. 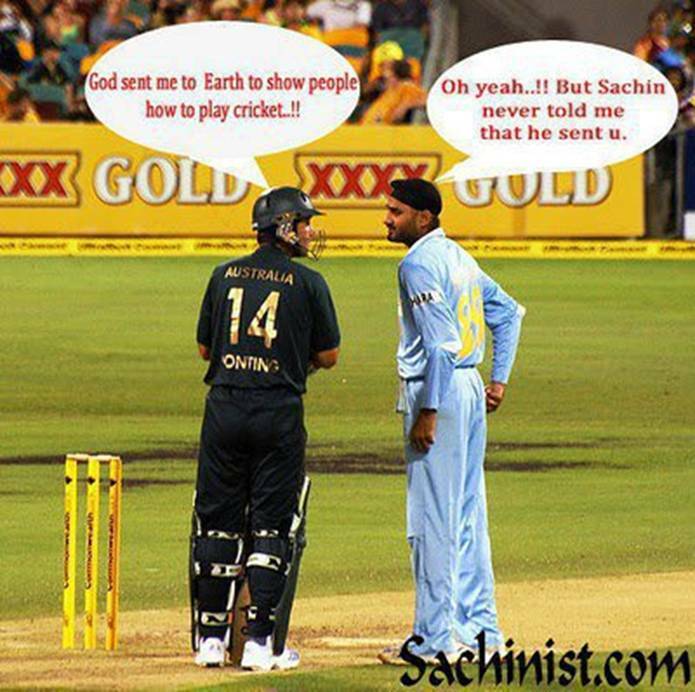 Cricket is our religion and Sachin is our God. In the last 15 months, Government had spent more than Rs.35 crore on Kasab. At last, Court has given him Capital Punishment. Now, how long does it take to hang him? It depends on how long Kasab wants to prolong it. Let's assume that, he wants to prolong as much as he can, then the procedure is the following. For Capital Punishment, approval from the High court is mandatory. Kasab can appeal in the high court, and can extend the trail for few more months/years [Since his case his special, I hope it would be done in months only, and not in years]. If the High court approves the sessions court, he can appeal in the Supreme court and he can extend it for few more months/years. If the Supreme court also approves the capital punishment, he can appeal to the special court. If the special court also approves it, then he can appeal to the President. The President will forward the request to the Union Ministry and asks for the recommendation. 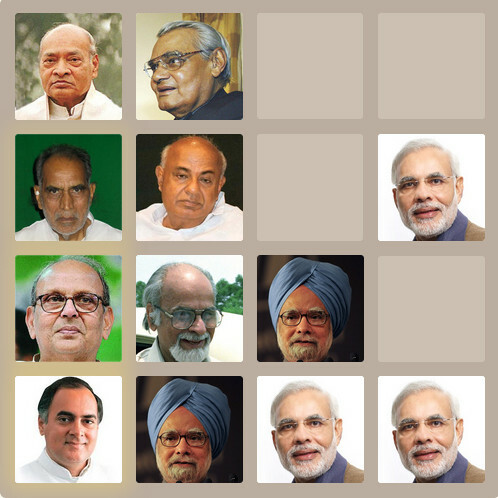 Once the President receives the recommendations from the Union Ministry, the president will take the decision on that. Once that is also approved, Kasab would be hanged. On a side note, Afzal Guru was given the capital punishment for conspiracy on the attack on Parliament. His appeal has been in the pending state at the Union Ministry for the last 5 years. Only after the Union Government sends its comments to the President, the President can take an action. Another story of a bollywood actor. One famous hero of bollywood was involved in a serious issue in 1993. When he was arrested, he immediately applied for bail. Then, this is what happened/is going to happen. Apply for the bail in this court. Since he is not proven guilty [Since the trail is still going on], the bail would be granted. Drag the trail for minimum 5 years. At the end of the trail, the court would give some punishment. As soon as the punishment is given, he would be taken to jail. Immediately, file an interim bail petition till he receives the judgment copy. It may take anywhere from one week to two months. Once he gets the judgment copy, he would be again taken to jail. Appeal in the above court. If he gets a good lawyer, the above procedure easily takes 20 years, and the person will stay in the jail at max a month or two. By the end of all the trails at all the courts, if that person crosses 60 years, file another appeal that, since he is too old and not healthy, reduce the punishment. If you have constructed a house in less than 150 sq.yards, then there is more than 90% chance that, it does not follow all the rules set by the government for the construction of house. Government specifies that, the house must have some percentage of free space, and it needs to have water harvesting facility. In cities, the houses must have solar water heater. The construction of the house (not for apartments) must be finished in one year. There are many more rules like this. If anything is not satisfied, the official can reject the house plan at the beginning or can impose huge fine after constructing the house. Similarly, if you have a school, which is not an international school, then it is very rare that, it satisfies all the rules. Government had set many impractical rules in many fields. If anyone wants to get something done without paying any bribe, then they have to follow all the rules, which are very difficult to follow. So, for most of them, there is no other option other than bribing. Government does not change those rules, since changing it means, no money for politicians and government employees. I have seen many teachers who are ready to teach a topic 10 times, if the student does not understand it. But, most of them miss the point that, if the student does not understand even after teaching second time, it means, there is some thing wrong. Most of the time, the student does not have the basics of that topic, and that's why he/she could not understand. The student should be taught on the basics of that topic, and then only he/she can understand. Without teaching basics, if they keep on teaching the same topic even for 100 times, they will not understand, and the student may lose confidence and then interest on the subject. Learn Basics and Teach Basics. Most of the articles that I have read says, if I publish anything that I own, that itself is proof enough that, it is copyrighted to me. Once I copyright anything, then nobody can use that without taking permission from me. Recently, in one discussion in a TV Channel, Loksatta's Legal Cell Convenor C.V.L.Narasimha Rao told that, just publishing itself is not enough for copyright, and one must register it to copyright it. He said, just publishing cannot be produced as a proof in the court. Due to few other issues, the discussion did not continue on that line. how many buses are there? What is the capacity of the bus? How many buses are required in those routes? Whether there was any complaint given to RTC for this? Whether the issue was escalated to the Managing Director? What did the MD say? For any of these questions, if the response is negative or does not have supporting documentation, the court would dismiss the case immediately. Not only that, court does not involve in changing any act. If there is any problem, then court would just ask to solve that problem, and it does not involve in solving root problems or solving for long term, which is the duty of Assembly/Parliament. Based on the above experience, I could easily understand the problems in filing a court case on copyright without registering it. Even if they publish it, still they need to prove that, they have created that content on that day or before, which is not trivial. Even if one person publishes a book, how do they prove that, that book was published in the year mentioned in that book? It is not very trivial. Theoretically, just publishing may be enough to copyright it. But, in practical, it may not be enough. So, it is better to register it to copyright. On a side note, all the creations of all the employees of almost all the corporate companies would belong to the corresponding companies, and not to the actual person who created it. Since, almost all the companies write in their agreements that, all the creations of the employee would belong to the company, irrespective of whether it is done during the office time or not. How do the managers force their Favorite Technologies? A Manager comes up with some technology which he/she wants to use. He/She learns few buzzwords in that technology and proposes it. Developers do not know how to respond to that. For any question by any developer, the manager throws some buzzword in the marketing guide of that technology, and says, with that technology, one can do everything. Developers cannot reply to the manager, because, the manager knows more buzzwords than the developers. When developers are not in agreement with the manager in using the new technology, the manager tells them that, it is only a proposal and not the final design. For verifying this proposal, the manager asks the developers to start prototyping. If the developers fail in prototyping, the manager googles the corresponding keywords and sends the top 10 results to the developers, and asks them why they could not search in google. If atleast one developer could manage the prototype of his/her component, then the manager is impressed by that developer. If any other developer fails in his/her component, the manager asks the developer who was successful to help this developer. "Why are you telling me this now? We are already in the middle of the release. We have spent lot of time and effort in this technology. If we change the technology, then we cannot deliver by the deadline, and all the effort would be wasted." With that, the developers unwillingly use the technology proposed by the manager. In IPL (till 2010), there are 8 teams. Each team plays with all other teams twice. The top 4 teams would go to semi-finals. If two teams get equal no.of points, then the one which has higher Net Run Rate would get better rank. How many minimum no.of matches should a team win to enter semi-finals in the best case as well as worst case? Assume that, in all the matches, one team would win, and there is no case of draw/tie/cancellation. Each team plays 14 matches. Generally, people tend to think that, if any team wins one more match than the half, then it would surely go to semi-finals. i.e., if a team wins 8 matches then it would enter semi-finals. But, that is not the case. In the above case, teams 1,2,3,7 and 8 won 5 games each. Since, each team plays with all other teams twice. In the second round also, if they win exactly like this, and there will be five teams with 10 wins each. So, even if a team wins 10 games, it is not guaranteed that it would reach semi-finals. In the above table, 1, 2 and 3 reach semi-finals. 4, 5, 6, 7 and 8 have won 2 matches each. If the same is repeated in the second round also, then one of 4, 5, 6, 7 and 8 would reach semi-finals with just 4 wins.